I have something new to share with you today. 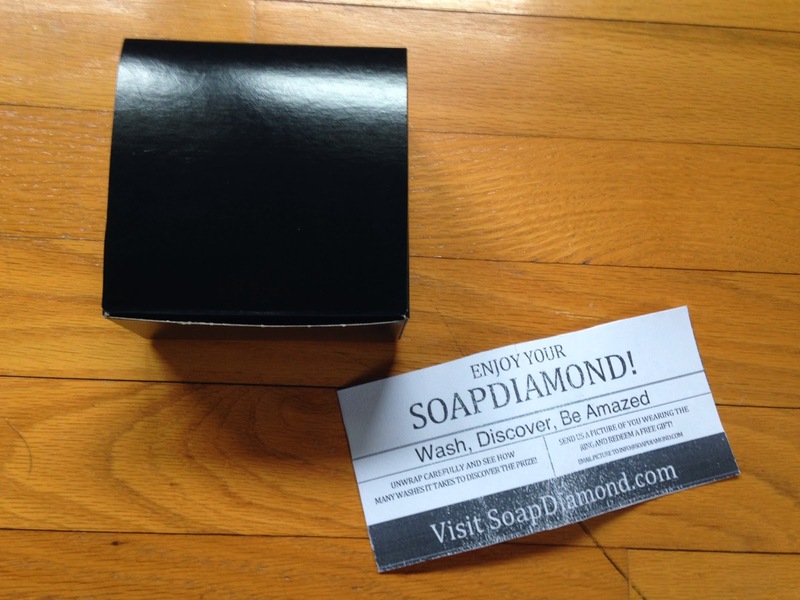 It's called Soap Diamond and you're all going to want to try it, if you love surprises as much as I do! 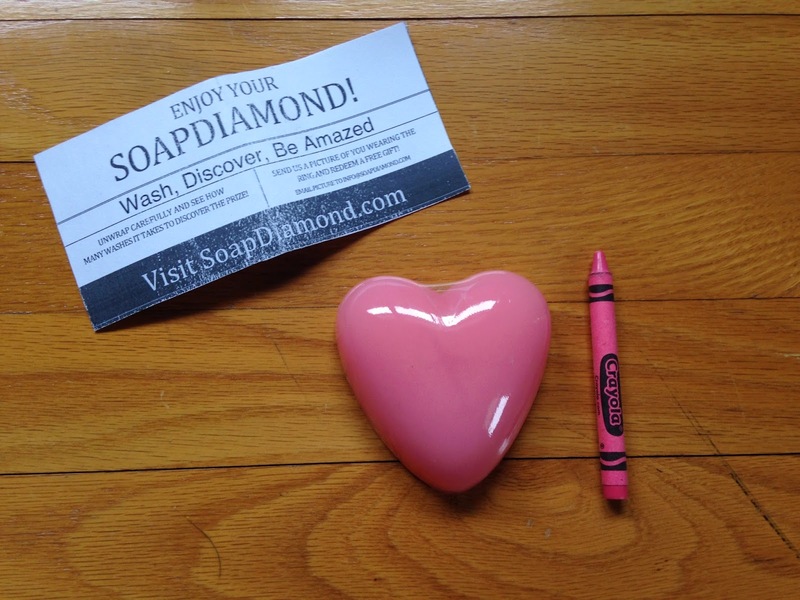 It's a heart shaped soap with a ring inside worth $5-$500. They advertise one size fits all rings, but we'll see. I have tiny fingers, so if it works for me, it will work for everyone! It arrived in a plain brown box and the inner packaging looked like this. Here's what was inside the black box. 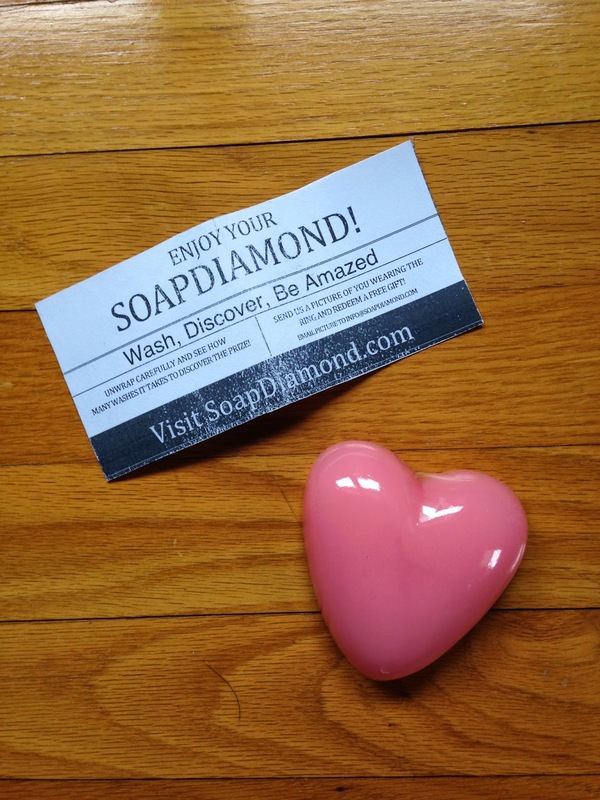 The soap has a nice, soft rose scent. I had no idea what it would smell like because you do not get to choose a scent, but I was very pleased. It is not over powering and I think most people would love it! I took the next picture for size reference. It's next to a regular crayola crayon. Ok...I couldn't wait any longer. I had to see what was hiding in my soap. So, I cut it open and here is what I found. It's a silver adjustable band ring with a single clear crystal stone (looks similar to a traditional engagement ring). It's very sparkly and pretty! 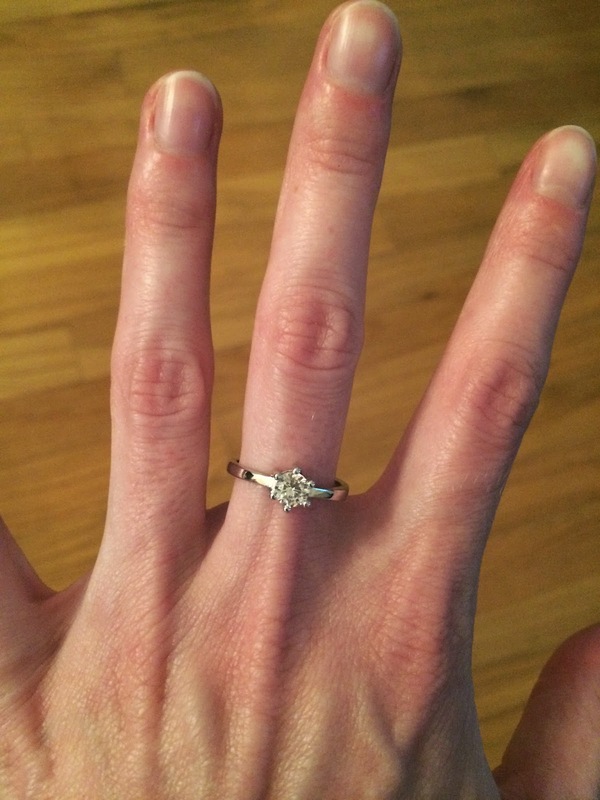 No, I haven't seen my ring yet. I'm still trying to wear down the soap. I'll post pictures as soon as I get it out! 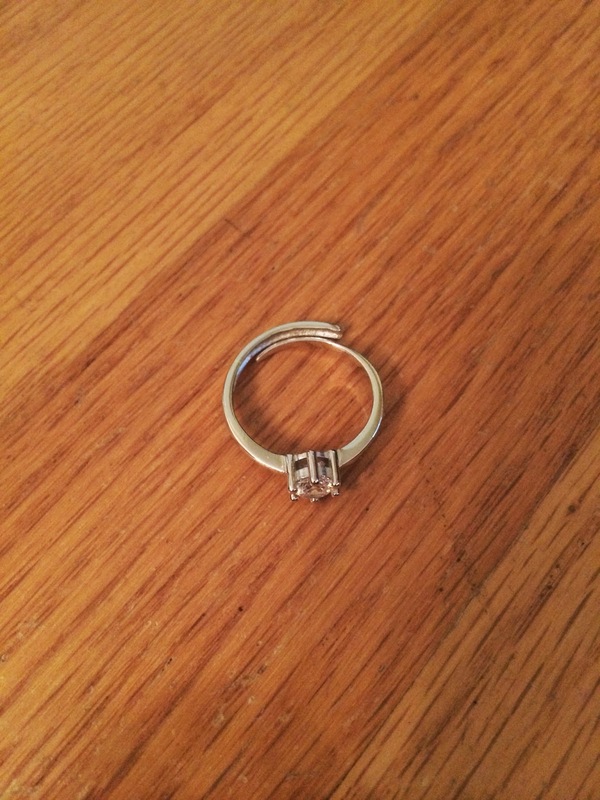 Was the ring you received a sized ring or would it fit any size finger? I'm curious about that. My Ring was also adjustable...which is nice when it's a piece of costume jewelry, but it makes me question the actuality of a $500 ring being a possibility. I've never seen a $500 ring that was adjustable! I got a nice sterling silver ( stamped inside ) band with some groves, I love it. The soap smells great. I used the soap for about 2 weeks before the bag that the ring was in appeared I will be buying some for gifts..